I met Mitch Bedzyk last year, when his church in Elmira, New York invited me to come speak at their annual student conference. I had a great time in upstate New York, as I always do, meeting a lot great people, eating some really good BBQ (no, really! ), and even visiting the grave of one of my favorite authors, Mark Twain. But my favorite part of the visit was getting to know Mitch and his twin brother Matt, both Midwestern Seminary students faithfully serving in the church their grandfather planted several decades ago. I got Mitch—about to graduate Midwestern this spring with a Master of Theological Studies degree—to tell me a little of his story, and how a kid from Elmira, New York ended up “attending” seminary in Missouri. Jared: Mitch, tell us a little about your education and ministry background, and about your family. Mitch: I’m 28 years old, and I live in Elmira, New York with my wife, Sarah, and son, Oliver. I earned my B.S. in 2010 and work full-time in IT at a local psychiatric hospital. I also am a member of Elmira Christian Center, a non-denominational congregation that has been, by God’s grace, a revitalization. 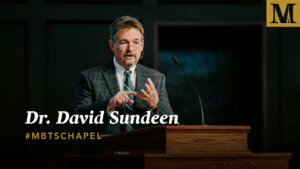 Our pastor David Leandre has been faithfully leading us through a gospel renewal, and I have the privilege of serving as a worship leader, a Sunday school teacher, a small group leader, and sometimes Sunday evening preacher. I began attending Midwestern Seminary online in 2014. Jared: What drew you initially to Midwestern’s online program? Mitch: What initially drew me to Midwestern was both the flexible schedule and the affordable tuition. The online courses are offered in eight-week terms with two terms each semester and three semesters a year. This format has allowed me to take only one class at a time and still complete six courses a year. With 15 courses required for the MTS degree, I would be able to complete the degree in less than three years. As for the affordability of the program, the rate even for non-SBC students was significantly lower than the other SBC seminaries. This allowed me, as a member of a non-SBC church, to attend an SBC seminary (which I align with doctrinally) and also graduate debt-free. Jared: So why go to seminary online? Why not go the residential route? Mitch: Although I’m sure nothing can replace a traditional classroom experience, I was unable to leave my current job and ministry context. The online format allowed me to remain at my current job, be involved in my church, stay near my extended family, and still receive a solid seminary education. Being able to stay involved in my local church, especially given the great revitalization taking place here, was a crucial reason for choosing the online program. Jared: What were some of your favorite aspects of the online program at Midwestern? Mitch: Aside from the eight-week term schedule and the affordability, I really appreciated the customizable tracks and the discussion board assignments. The customizable tracks provided the ability on certain assignments to apply what I was learning as a pastor, scholar, or teacher would, depending on my current ministry context. For example, in my OT class I had the option of doing a research paper on the theology of the Pentateuch (scholar track), writing a sermon series on the theology of the Pentateuch (pastor track), or writing a Sunday school curriculum on the theology of the Pentateuch (teacher track). The discussion board assignments required each week not only allowed interaction with students and professors, but often provided the opportunity for further discussion, debate, and practical application of the class material. Jared: How has your educational experience impacted your ministry? 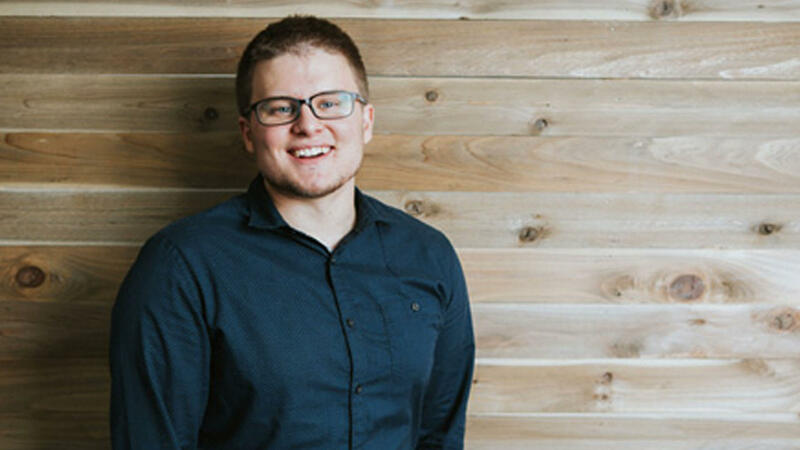 Mitch: Midwestern’s MTS program not only provided a deeper understanding of, and love for, the Scriptures, church history, theology, missions, ethics, etc., but it gave me a greater love for the church. 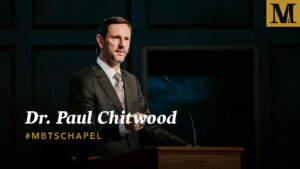 In other words, my experience at MBTS served as fuel for my ministry fire. I learned how to articulate and defend the faith once delivered to the saints in a clearer, more precise, and contextualized manner. I gained a better understanding of Christian ethics and the issues facing the church today. I was equipped with the proper tools for teaching and preaching the Word faithfully, and I acquired many resources that will serve me well beyond graduation. As a lay leader in a church going through the revitalization process, the online program has proved to be an incredibly worthwhile investment.